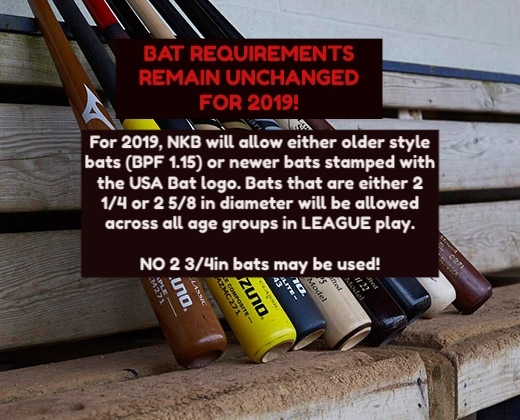 For 2019, NKB will allow either older style bats (BPF 1.15) or newer bats stamped with the USA Bat logo. Bats that are either 2 1/4 or 2 5/8 in diameter will be allowed across all age groups in league play. No 2 3/4 in diameter bats are allowed. 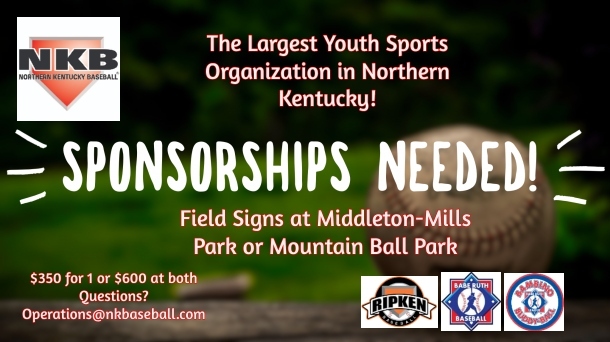 Northern Kentucky Baseball is the premier choice for youth sports in Northern KY. We are the largest baseball league in our area. We pride ourselves on developing players the proper way. We cater our style of play and rules for each age group. 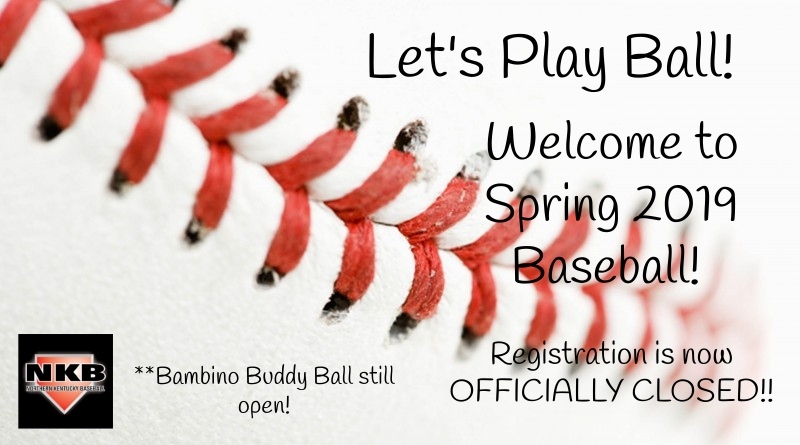 This offers the best choice for your son or daughter when it comes to playing baseball. We are nationally chartered through Cal Ripken / Babe Ruth Baseball. Our players have a chance to compete in District, State, Regional and international World Series through the Cal Ripken / Babe Ruth All-Star program. "The Best Thing to Happen to Baseball in Northern KY in 20 Years." 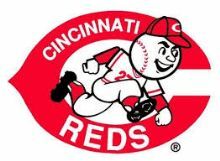 NKB Night at the Reds Game- June 17th, 2019 Purchase Tickets Here!